1 Why am I getting a “Moodle can’t connect” – “Status 401” – “Unauthorized” error message? 2 How does my training organisation notify Wisenet of how we want Moodle to link to Wisenet? 3 Can I have some Moodle Courses linked to Wisenet Course Offers and some linked to Unit Offers? 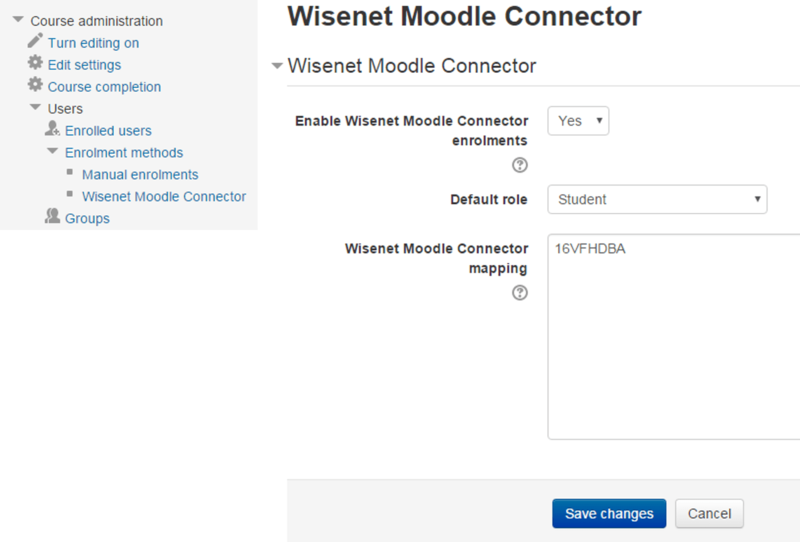 4 Can I link multiple Moodle Courses to the one Wisenet Code? 5 Can I link multiple Wisenet Course Offers or Unit Offer codes to the one Moodle Course? 6 I have the new version plugin. Where do I locate the Moodle Course mapping field in my Moodle Course? 7 I have the old version plugin. Where do I locate the Moodle Course ID number in my Moodle Course? 8 Does it matter whether I link the Moodle course before I enable Moodle access for my learners? Why am I getting a “Moodle can’t connect” – “Status 401” – “Unauthorized” error message? How does my training organisation notify Wisenet of how we want Moodle to link to Wisenet? Can I have some Moodle Courses linked to Wisenet Course Offers and some linked to Unit Offers? No, sorry. The Integration plugin currently only allows one choice. If you think you need this, please contact us and let’s work out a good solution. Can I link multiple Moodle Courses to the one Wisenet Code? Yes, you can. For example, you may have three Moodle courses linked to the one Wisenet Course Offer Code. 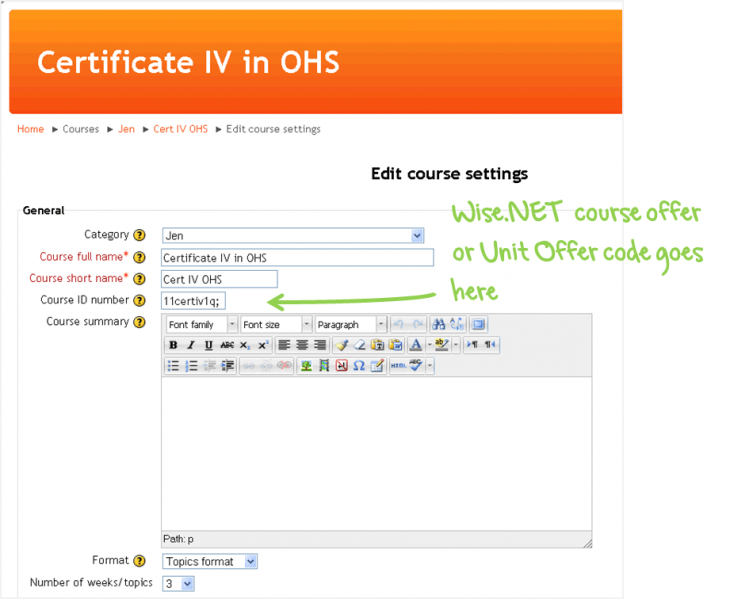 Can I link multiple Wisenet Course Offers or Unit Offer codes to the one Moodle Course? Yes, providing that the Wisenet codes are all of the same type (eg. all Course Offers, all Unit Offer codes etc) – just separate them by a semi-colon. I have the new version plugin. Where do I locate the Moodle Course mapping field in my Moodle Course? I have the old version plugin. Where do I locate the Moodle Course ID number in my Moodle Course? Does it matter whether I link the Moodle course before I enable Moodle access for my learners? Yes, it does. Ideally, link the Moodle course before you enable Moodle access for learners. If you didn’t do it this way round, see Moodle Enrolments FAQ for how to trigger learner auto- enrolment in Moodle.